UPPCL Office Assistant Result 2018: The UPPCL, Uttar Pradesh Power Corporation Limited had invited applicants in its UPPCL Recruitment 2017 Office Assistant. The requirement was for the posts of Office Assistant and Stenographers in the department. The candidates had to appear in the written test for testing the eligibility of the posts. The exams for the first phase are over now and the candidates are informed that the results are soon going to be available. Before the results candidates are provided the UPPCL Office Assistant Cut-Off Marks. Further more details regarding the UPPCL Office Assistant Result 2018, how to download, cut off and merit list is available in the article below. The first phase exam i.e. the written tests for various posts of stenographers and office assistants in UPPCL are over lately. A lot of candidates were reported to appear in the examination this year. Wel, the actual status of how many get selected will be out with the UPPCL Office Assistant Grade 3 Result only. However, before it, the cut of the list is expected to be uploaded on the website in a few days for getting an estimation of selection. The UPPCL Steno Exam Result will be uploaded on the official website only. All those who are looking for their Uttar Pradesh Power Corporation Limited Result will be able to download it from the website controlled by the UPPCL only. There is no other way to check the results of exam for the Office Assistant and stenographers. The below-mentioned steps can be followed for checking and downloading it. Click on the link of Vacancy/ Results. Click on the ADVT. 3/VSA/2017/ACCT-30 FOR THE POST OF “OFFICE ASSISTANT-III (ACCT). Enter the correct details asked to access the files. Click on download button to save the file in your devices. The results of the written exam are likely to be released timely. 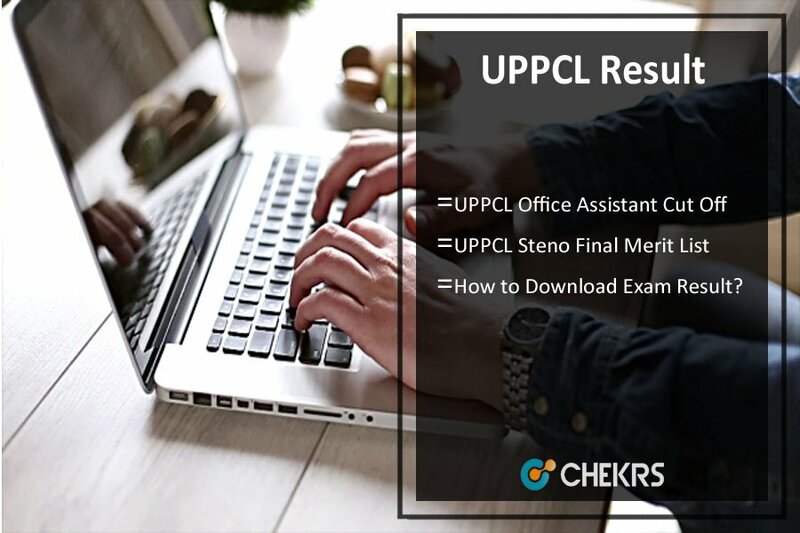 The UPPCL Stenographer Expected Cut Off of the exam is made available to the candidates who wish to check their approximate score and selection for the typing test. The cut off this year is expected to be high well the actual score can be checked from the website only. The typing test for the vacancies in UPPCL will be organized soon after the result declaration. The candidates who qualify the written test will be allowed to give the second phase examination. Well, the names of only qualified candidates will be mentioned in the UPPCL Stenographer Merit List. To get the more Police jobs Notification in the Uttar Pradesh State through our website www.jobs.chekrs.com. In terms of any query, we welcome your comments in the commenting inbox.